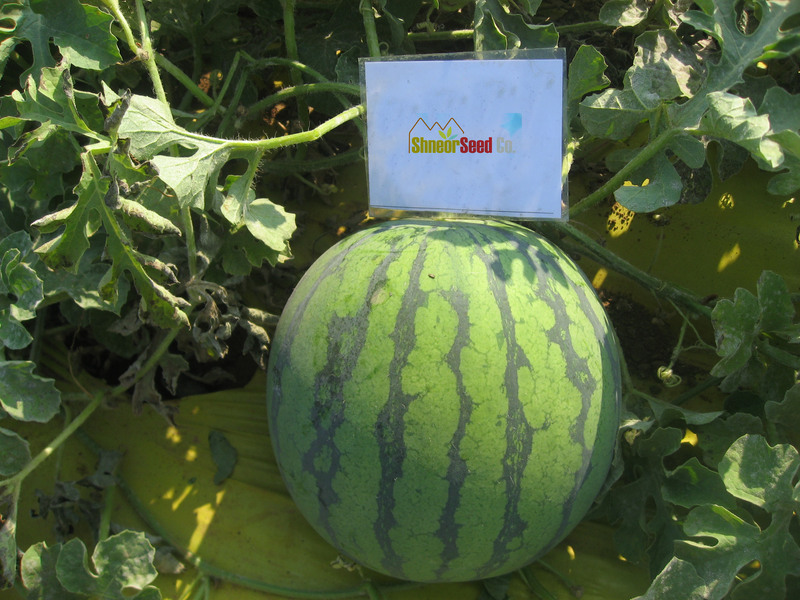 Watermelon - Seedless | Shneor Seed Co. Relative maturity 97 days,Fruit weight: 6-7 kg. globe shape.Bluish green rind with narrow dark green stripes.Flesh bright red, juicy, sugar content of 12%, great taste. Vigorous plant with good fruit set. Flesh is firm and less prone to a hollow heart. Good for shipping and storage. 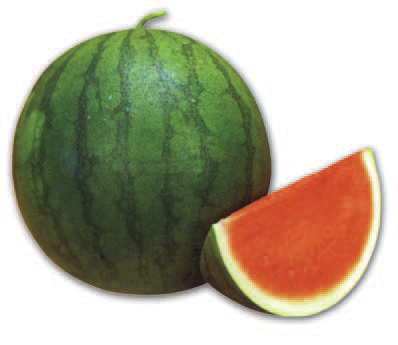 Type:Tiger type, Fruit Weight:1.8-2.1Kg, Fruit shape:Round -deep globe ,Ring color: green with wide dark green strips, Flesh:red, juicy and sweet, Disease resistance:mild disease resistance, Features:good for storage and shipping. Weight:2-3Kg , Shape:Globe-Oblong,Ring Color:Green -Light green,Flesh:10-11%, Features:Spring ,Days from sowing :80- 90days. 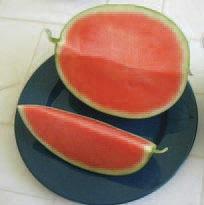 Hybrid F1 Mini Seedless watermelon. 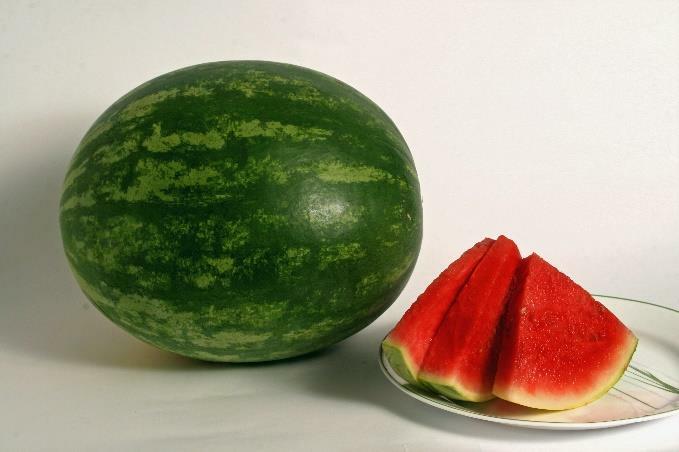 Days from sowing:75 days,Weight 2-2.5 Kg ,Shape: round to deep globe ,Rind color:Dark green, Flesh:Red,Characteristics:Good for shipping and storage. Strong plant, oval shape, deep red flesh, very sweet, high brix. Fruit weight: 8-10 kg. High resistances: Fusarium race 1 Extremely adaptable for various growing conditions. Attractive rind color. Plant is productive. Can be harvested 97 days from sowing. Fruit weighs 7-10 kg, is globe shaped. 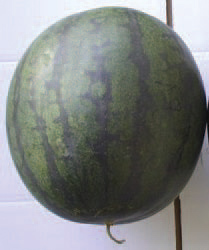 Rind is green with nerrow dark-green stripes, and is durable. Flesh is juicy, red color, tender with excellent taste. Good quality, good for shipping and storage. Plant is vigorous, with good fruit set. Can be harvested 97 days from sowing. Fruit weighs 6-9 kg, is round shaped and uniform. 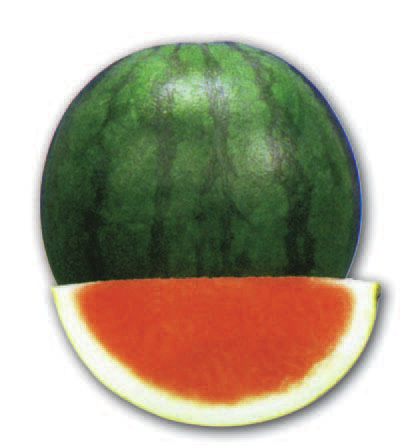 Rind is bluish-green with nerrow dark-green stripes. Flesh is juicy, bright red color, sweet with sugar content of 12% and tasty. Flesh is firm and less prone to hollow heart. Good for shipping and storage. 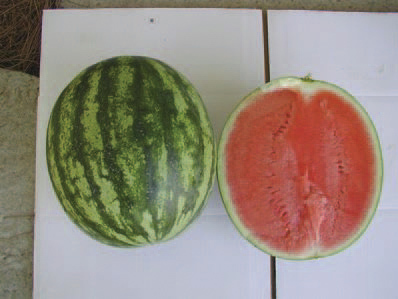 Crimson type ,Relative maturity 97 days from sowing .Fruit weight: 7-10 kg. shape globe,Rind color: light green with wide dark green stripes. Bright red flesh, firm, crispy, juicy, very sweet with an excellent quality. Tolerant to hollow heart. Very productive, high sugar content. Suitable for home garden and roadside market. 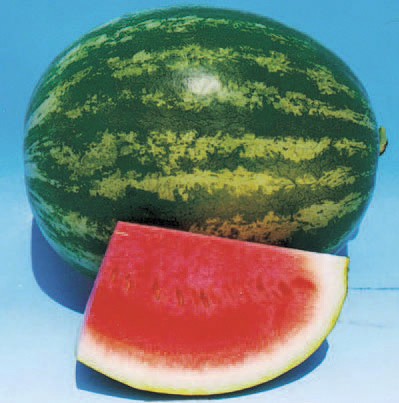 Tiger type Relative maturity 89 days from sowing.Fruit weight: 1.9-2.2 kg,Fruit shape: round - deep globe,Flesh:red,juicy and sweet.Suitable for storage and shipping. 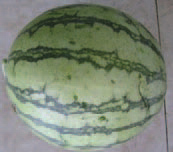 Globe shaped fruit is light green with broad distinct dark green stripes. Fruit sets well, and weighs around 11 kg. Bright red flesh is firm and tolerant to hollow heart. Sugar content is around 12%. Reliable good quality, easy to grow. Crimson type,Relative maturity 97 days from sowing. 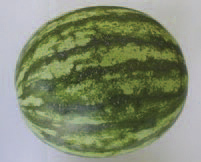 Fruit weight:11-12 kg, Fruit shape: globe, Rind color:light green with wide dark green stripes. Flesh: bright red, firm, crispy, juicy, sweet. Tolerant to hollow heart. Easy to grow, reliable good quality, sugar content around 12%, stores well,Suitable for shipping.